Authorities in Florida are asking for help identifying a woman who allegedly stuffed candy bars in her pockets and then spent nearly 10 minutes trashing a convenience store. 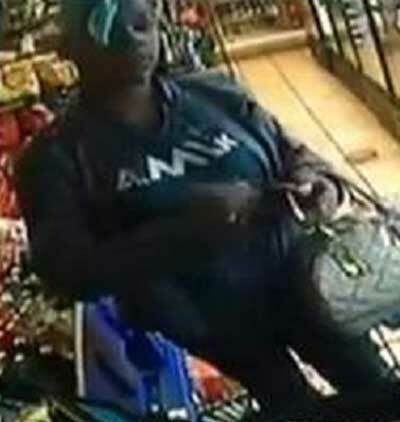 Surveillance video shows the woman throwing items off store shelves. The Jacksonville Sheriff’s Office said the woman entered a Shell store and put $11 worth of candy bars in her pockets in an attempt to conceal them. A store worker confronted the woman but she refused to return the items and tried to leave. A sheriff’s office spokesperson said the worker locked the store’s front door so the woman could not leave. 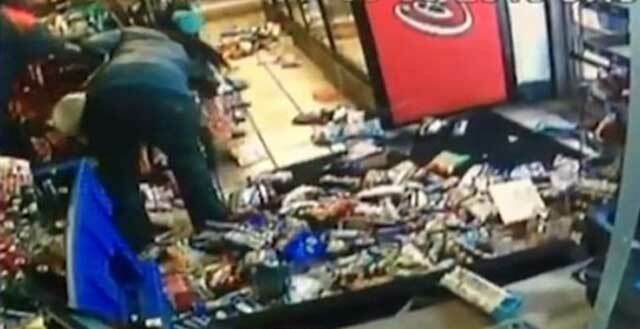 That’s when she started calmly trashing the store, including smashing and throwing bottles. The worker then unlocked the door and the woman ran away. The sheriff’s office is asking for help identifying her. That was fascinating. I like at the 8 minute mark, she casually glances at her phone, maybe noting the time, and then starts talking to the store clerk, perhaps saying, "I've been doing this for eight minutes. You going to open the door, or do I have to keep f*cking sh*t up? Oh, okay, I'll keep tossing the store over then. Open the door? No? Have some exploding pineapple? The door? No? Then let's continue."